Guidance Group Digital, LLC, d/b/a CounselingTools.com, has a valid SSL (Secure Sockets Layer) certificate on its payments page, which gives you the peace of mind of knowing that we are a legitimate company, and can provide a secure environment in which you can transact with us. When transacting with us on our website we use a payment gateway called ‘Authorize.net‘, which uses the highest level of security encryption (SSL certified) available right through to the banks’ EFTPOS networks, where credit card transactions are automatically processed. Your credit card details are automatically deleted upon the completion of your order. If you are uncomfortable using your credit card online, then you are most welcome to supply us with this information over the telephone. We can also accept payment drawn in US dollars by check, money order and direct deposit. Please note that while CounselingTools.com uses its best efforts to protect all such information at all times, we cannot be responsible for unauthorized access to this information. CounselingTools.com respects your right to privacy under the Privacy Act 1988 (amended by the Privacy Amendment Private Sector- Act 2000) and is required by law to comply with the national privacy principles in respect of the collection of personal information from individuals. On our website, you can subscribe to our online resources and our online newsletter. The sort of personal information we collect from these pages includes your name, address, e-mail address, telephone number, fax number and information about your areas of interest. CounselingTools.com does not collect personal information unless it is necessary for us to carry out our functions and activities as an online e-commerce store. We may use your information to enable us to fulfill any online orders you may place with us, to send you our e-mail newsletter or to keep you up to date with special offers and events. Customers of CounselingTools.com can remove themselves from the distribution list by simply typing, “Remove me” in the subject line of a reply email. We will not without your prior consent disclose personal information collected about you on this website to any other party except in the case of our carriers to whom we supply your name, address details and contact details, as well as any particular delivery instructions you have given us. CounselingTools.com takes measures to ensure that the personal information you have provided to us is kept confidential, secure and protected from unauthorized access, misuse, disclosure or alteration. All information submitted to our website payments page is secured using Secure Sockets Layer (SSL) software. This information is also protected by encryption and firewall technology. We automatically delete your credit card details when your order is complete. Like many other websites, we automatically receive and record information on our Internet Server logs from your Internet browser including your Internet Provider address and cookie information. Cookies are small files that your web browser places on your computer’s hard drive and which enable us to monitor your use of our website. This information helps us improve and further develop our site. The cookies do not allow us to gather any personal information that would identify you or your e-mail address. You can always set your web browser to reject cookies. But by doing so you may not be able to purchase products and resources from e-commerce websites like ours. You may request access to personal information we hold about you by contacting us. If you believe that the personal information we hold about you is incomplete or inaccurate, then you may ask us to amend it. If you have any questions about our policy, or any complaint regarding treatment of your privacy by us, please contact us at info@counselingTools.com. Should you have any concerns with the way in which CounselingTools.com has handled your personal information, please contact us so that we may address your concerns promptly. To assist with the prompt investigation of your complaint we will make available to you a privacy complaint form, which you will be required to complete and return to us. If we have not handled your personal information in an appropriate manner we will take steps to remedy your concerns promptly. We can accept credit payments by MasterCard, Visa, and American Express, online or via the telephone. In addition, we can accept payments by check, money order and EFT in US Dollars. Credit Card subscriptions will be automatically renewed every term unless cancelled by their current expiration date. Purchase Order subscriptions will be automatically renewed every term pending approved payment unless cancelled by their current expiration date. 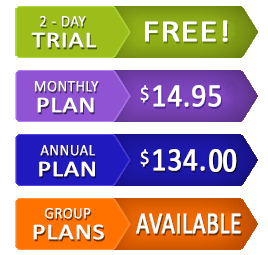 Free Trial subscriptions will be suspended on the current expiration date until upgraded to a paid account. Accounts cannot be cancelled or suspended during a subscription term and will remain active until their current subscription term ends. Pro-rated refunds are not available. 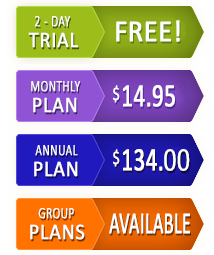 All cancelled or inactive accounts can be renewed at anytime with a new paid subscription. New subscription dates will be assigned based on the renewal terms.